John Wesley (1703-1791) founder of Methodism. It is appropriate to be talking about John Wesley this evening for two reasons. He was born on 28th June 1703 and also in this past year the Methodist Church in Ireland and the Church of Ireland have signed a covenant encouraging closer co-operation in worship and outreach between the two churches. 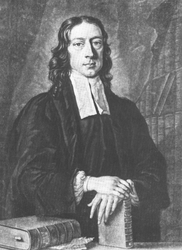 Wesley remained an Anglican during his lifetime. John Wesley came to Ireland 21 times, starting in 1747. He visited the area four times with at least another visit to Garvagh, and surrounding areas. In describing the rise of Methodism in this area we need to recognise not only the visits of John Wesley but the itinerant preachers who developed the work and gave Wesley much encouragement. For the full text see the attachment below.